Thomas Bourgault earned the Doctor of Music Arts in Wind Studies from Rutgers University where he studied conducting with Dr. Kraig Alan Williams. There he conducted all university bands and assisted with all facets of the wind band division. Bourgault holds the Bachelor of Music in Music Education and the Master of Arts in Music from the University of New Hampshire, with a focus in composition and wind conducting. There he studied horn with John Boden and Kendall Betts, composition with Andrew Boysen, Jr. and Michael Annicchiarico, and conducting with William Kempster and Andrew Boysen, Jr.
Dr. Bourgault is currently the Wind Ensemble Conductor and Associate Band Director at Bridgewater-Raritan High School in Bridgewater, New Jersey. 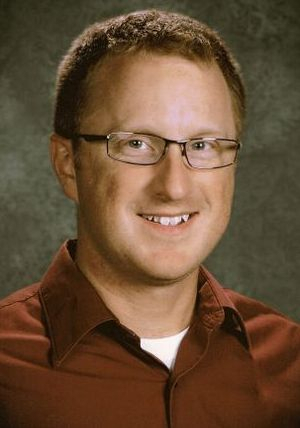 Prior to this appointment, Bourgault held the positions of Director of Instrumental Music at Lebanon High School, Lebanon, New Hampshire and Norwich Free Academy in Norwich, Connecticut, and Band Director at Freedom High School in Orlando, Florida. Dr. Bourgault has received numerous commissions from school and university bands throughout the country, including large symphonic bands, chamber ensembles, and mixed wind, string, percussion, and vocal ensembles. He currently maintains an active guest conducting schedule with public schools and regional honor bands. As a conductor, Bourgault has held several residencies as a visiting composer/conductor of his own works, as well as a clinician and adjudicator for band festivals in the northeast, including the NABBA Middle and High School Solo Festival, the Quabbin Valley Music Educators Association Music Festival, and the Maine Band Director's Association Concert Band Festival. In addition to music, Bourgault routinely spends time running, biking, hiking, and exploring nature as inspired by his growing up in Maine. He believes that there is a keenly human element to composing, teaching, and performing music, and a heightened self-awareness provided by the natural world opens the mind to the limitless possibilities of the art.